If you’re within our service area, please contact us TODAY! Our training calendar fills up very quickly. to help us make sure we got them right. We’re doggies, you know. We can hear much better than you. We just want to make sure we understand your human accent! Please allow at least 6 business hours for us to return your call. What are our business hours? 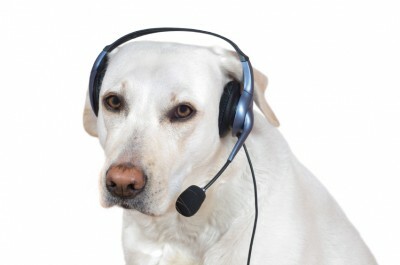 Ruff-ly speaking, 10 a.m. to 10 p.m., Monday through Friday. Feel free to call us outside of business hours, but please leave a message. We’ll return your call as soon as possible. If you want to set up an appointment with us, please call or text us. Emailing us to set up an appointment is way too time-consuming and tedious. It may work for you, but it doesn’t work very well for us. Please call or text us. As we may be with another customer when you contact us, please allow at least 6 business hours for us to respond. What are our business hours? Ruff-ly speaking, 10 a.m. to 10 p.m., Monday through Friday. Feel free to contact us outside of business hours, but please leave a message. We’ll respond as soon as possible. And please, please, please — NO TEXTING WHILE DRIVING!!! As we may be away from our computers when you email us, please allow at least 24 business hours for us to respond. If you don’t hear from us within 24 hours, please call or text or email us again, just to remind us. We may have gotten buried by an avalanche of email and accidentally missed yours! This is obviously one of the slowest ways for you to contact us. If we receive something from you by U.S. mail, we will try to use the fastest way possible to respond. Please let us know the best (and fastest) way for us to respond. No fax machine is available. That is sooooo 20th century! That is sooooo 19th century! We have a couple old farm horses available and a few old (very old!) riders. Please allow a few weeks for us to get ‘em together for ya, pardner!